2016 Volkswagen Jetta Sport. 1.8L TSI Turbocharged engine with a 6-Speed Automatic Transmission. Discover Media 6.3 Touchscreen, 6-Speaker Navigation system with Bluetooth and a Rear-View Camera system. Volkswagen Certified with a 2-year 24,000-mile warranty available. Clean Car-Fax vehicle history report with only one previous owner. 17 Alloy wheels. Rear spoiler . Front fog lights. Ambient Interior lighting. Keyless access with push button engine Start/Stop and an Anti-Theft vehicle Alarm system. Very Clean. Low Miles. Smoke Free. Call 561-808-1853. Thank you for stopping by Gunther of Delray Beach located at 2401 North Federal Highway, NORTH OF ATLANTIC AVE on US1. We are your South Florida Dealership specializing in new and quality used vehicles, service and parts. Our knowledgeable sales staff have been trained and certified to provide amazing customer service. Receive an additional $250 OFF our best advertised vehicle prices, please print and bring to Gunther Delray to receive! All prices exclude tax, tag, title, registration fees, governmental fees and any warranty cost or fee applicable to the sale of a car. See dealer for full detail. 2016 Volkswagen Tiguan S. 2.0L TSI Turbocharged engine with a 6-Speed Automatic transmission. Composition Color 5 Touchscreen with an 8-Speaker sound system, Bluetooth and a Rear-View Camera system. Automatic headlights. Volkswagen Certified with a 2-year 24,000-mile warranty available. Clean Car-Fax vehicle history report with only one previous owner. Alloy wheels. Black roof rails. Electric Parking Brake. Rain Sensing Windshield wipers. Keyless Access with push-button engine Start/Stop and an Anti-Theft vehicle Alarm system. A very clean vehicle that is well maintained and Smoke-Free. Call 561-808-1853. Thank you for stopping by Gunther of Delray Beach located at 2401 North Federal Highway, NORTH OF ATLANTIC AVE on US1. We are your South Florida Dealership specializing in new and quality used vehicles, service and parts. Our knowledgeable sales staff have been trained and certified to provide amazing customer service. Receive an additional $250 OFF our best advertised vehicle prices, please print and bring to Gunther Delray to receive! All prices exclude tax, tag, title, registration fees, governmental fees and any warranty cost or fee applicable to the sale of a car. See dealer for full detail. 2016 Volkswagen Volkswagen Tiguan S. 2.0L TSI Turbocharged engine with a 6-Speed Automatic Transmission. Composition Color 5 Touchscreen 8-Speaker sound system with Bluetooth and a Rear-View Camera system. Volkswagen Certified with a 2-year 24,000-mile warranty available. Clean Car-Fax vehicle history report with only one previous owner. Alloy wheels. Automatic Headlights. Black Roof Rails. Rain-Sensing wipers. Keyless access with push-button engine Start/Stop with an Anti-Theft Vehicle Alarm system with an Immobilizer. A very clean vehicle that is Smoke-Free. Call 561-808-1853. Thank you for stopping by Gunther of Delray Beach located at 2401 North Federal Highway, NORTH OF ATLANTIC AVE on US1. We are your South Florida Dealership specializing in new and quality used vehicles, service and parts. Our knowledgeable sales staff have been trained and certified to provide amazing customer service. Receive an additional $250 OFF our best advertised vehicle prices, please print and bring to Gunther Delray to receive! All prices exclude tax, tag, title, registration fees, governmental fees and any warranty cost or fee applicable to the sale of a car. See dealer for full detail. 2016 Volkswagen CC Trend Edition. 2.0L TSI Turbocharged Engine with a 6-Speed Manual Transmission. Composition Media 6.3 Touchscreen 8-Speaker sound system with Bluetooth, and a Rear-View Camera system. Automatic Bi-Xenon headlights with Static Corner Lamps. Volkswagen Certified with a 2-year 24,000-mile warranty available. Clean Car-Fax vehicle history report with only one previous owner. 17 Alloy wheels. Rain-Sensing Windshield wipers. LED Tail lights. Dual-Climate control. Chrome Exhaust Tips. Remote Power central locking system. Clean, Low Mile vehicle that is Smoke-Free. Call 561-808-1853. Thank you for stopping by Gunther of Delray Beach located at 2401 North Federal Highway, NORTH OF ATLANTIC AVE on US1. We are your South Florida Dealership specializing in new and quality used vehicles, service, and parts. Our knowledgeable sales staff have been trained and certified to provide amazing customer service. Receive an additional $250 OFF our best-advertised vehicle prices, please print and bring to Gunther Delray to receive! All prices exclude tax, tag, title, registration fees, governmental fees and any warranty cost or fee applicable to the sale of a car. See dealer for full detail. 2016 Volvo S60. T-5 Drive-E Premier. Turbocharged engine with an Automatic Transmission. Premium Navigation system with Bluetooth and a Premium Sound system. Blind Spot Information System (BLIS) Package-inc: Front & Rear Park Assist, Blind Spot Information System, cross traffic alert, and lane change merge aid, Power Leather Seating. Volvo Certified with a 5-year Unlimited-mile warranty available. Clean Car-Fax vehicle history report with only one previous owner. Remote Engine start. Automatic headlights. Keyless entry. Dual zone climate control. Very Clean Vehicle that is Smoke free. Call 561-808-1853. Thank you for stopping by Gunther of Delray Beach located at 2401 North Federal Highway, NORTH OF ATLANTIC AVE on US1. We are your South Florida Dealership specializing in new and quality used vehicles, service, and parts. Our knowledgeable sales staff have been trained and certified to provide amazing customer service. Receive an additional $250 OFF our best-advertised vehicle prices, please print and bring to Gunther Delray to receive! All prices exclude tax, tag, title, registration fees, governmental fees and any warranty cost or fee applicable to the sale of a car. See dealer for full detail. 2016 Volvo T-5 Drive-E Platinum. Automatic. BLIS, Blind Spot Monitoring system-inc: Front & Rear Park Assist, Blind Spot Information System, cross traffic alert and lane change merge aid. Leather seating. Heated Front Seats. Volvo Certified with a 5-year Unlimited-mile warranty available. Clean Car-Fax vehicle history report with only one previous owner. Rear Spoiler. 19 Portia Alloy wheels. Bluetooth Connection, Power Driver Seat, Power Passenger Seat, Bucket Seats, Driver Adjustable Lumbar, Passenger Adjustable Lumbar, Seat Memory, Pass-Through Rear Seat, Rear Bench Seat, Adjustable Steering Wheel, Trip Computer, Power Windows, WiFi Hotspot, Leather Steering Wheel, Keyless Entry, Power Door Locks, Keyless Start, Universal Garage Door Opener, Cruise Control, Adaptive Cruise Control, Climate Control, Multi-Zone A/C, Woodgrain Interior Trim. Very Clean vehicle. Well Maintained and Smooke Free. Call 561-808-1853. 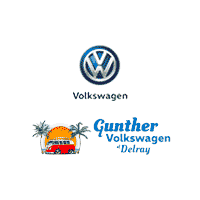 Thank you for stopping by Gunther VW Volvo of Delray Beach located at 2401 North Federal Highway, NORTH OF ATLANTIC AVE on US1. We are your South Florida VW Volvo Dealership specializing in new and quality used vehicles, service and parts. Our knowledgeable sales staff have been trained and certified to provide amazing customer service. Receive an additional $250 OFF our best advertised vehicle prices, please print and bring to Gunther Delray to receive! All prices exclude tax, tag, title, registration fees, governmental fees and any warranty cost or fee applicable to the sale of a car. See dealer for full detail. 2015 Volvo S60 T5 All Wheel Drive Platinum Edition. Automatic FULLY LOADED. CPO. BEAUTIFUL BEIGE INTERIOR. 5yr/Unlimited mile bumper to bumper warranty available. NAVIGATION, PREMIUM SOUND SYSTEM, ACCENT LIGHTING, leather, sunroof, HOMELINK, PARK ASSIST, CAMERA, alloy wheels and much much more! 1-owner, non-smoker, clean CARFAX, no accident. This car looks and drives like new! Original MSRP $41,875.00. Call 561-808-1853. Thank you for stopping by Gunther VW Volvo of Delray Beach located at 2401 North Federal Highway, NORTH OF ATLANTIC AVE on US1. We are your South Florida VW Volvo Dealership specializing in new and quality used vehicles, service and parts. Our knowledgeable sales staff have been trained and certified to provide amazing customer service. Receive an additional $250 OFF our best advertised vehicle prices, please print and bring to Gunther Delray to receive! All prices exclude tax, tag, title, registration fees, governmental fees and any warranty cost or fee applicable to the sale of a car. See dealer for full detail. 2015 Volvo XC60 T-5 Drive-E. Automatic. Turbocharged. Alloy Wheels. Bluetooth. Rear Spoiler. Volvo Certified with a 5-year Unlimited-mile warranty available. Clean Car-Fax vehicle history report with only one previous owner. Trip Computer, Power Windows, WiFi Hotspot, Leather Steering Wheel, Keyless Entry, Remote Trunk Release, Cruise Control, Climate Control, Multi-Zone A/C, Cloth Seats, Driver Vanity Mirror, Passenger Vanity Mirror, Driver Illuminated Vanity Mirror, Passenger Illuminated Visor Mirror, Floor Mats, Mirror Memory, Security System, Engine Immobilizer, Traction Control, Stability Control, Front Side Air Bag, Telematics, Tire Pressure Monitor, Driver Air Bag, Passenger Air Bag, Front Head Air Bag, Rear Head Air Bag, Passenger Air Bag Sensor, Child Safety Locks. Call 561-808-1853. Thank you for stopping by Gunther VW Volvo of Delray Beach located at 2401 North Federal Highway, NORTH OF ATLANTIC AVE on US1. We are your South Florida VW Volvo Dealership specializing in new and quality used vehicles, service and parts. Our knowledgeable sales staff have been trained and certified to provide amazing customer service. Receive an additional $250 OFF our best advertised vehicle prices, please print and bring to Gunther Delray to receive! All prices exclude tax, tag, title, registration fees, governmental fees and any warranty cost or fee applicable to the sale of a car. See dealer for full detail. 2016 Volvo XC60 T5 Drive-E Premier. Blind Spot Information System (BLIS) Package-inc: Front & Rear Park Assist, Blind Spot Information System (BLIS), cross traffic alert, and lane change merge aid. Premium Navigation system with Bluetooth. Volvo Certified with a 5-year Unlimited-mile warranty available. Power Tilting and Sliding Panoramic Sunroof. Alloy wheels. Rear Spoiler. Dual Zone Climate control. Automatic Headlights. Power remote central locking system. Clean and Smoke-Free. Call 561-808-1853. Thank you for stopping by Gunther of Delray Beach located at 2401 North Federal Highway, NORTH OF ATLANTIC AVE on US1. We are your South Florida Dealership specializing in new and quality used vehicles, service and parts. Our knowledgeable sales staff have been trained and certified to provide amazing customer service. Receive an additional $250 OFF our best advertised vehicle prices, please print and bring to Gunther Delray to receive! All prices exclude tax, tag, title, registration fees, governmental fees and any warranty cost or fee applicable to the sale of a car. See dealer for full detail. 2016 Volvo XC60 T-5 Drive-E Premier. Turbocharged engine with an Automatic Transmission. Power Leather Heated Seats. Premium Navigation system with Bluetooth. Automatic Headlights. Volvo Certified with a 5-year Unlimited-mile warranty available. Clean Car-Fax vehicle history report with only one previous owner. Power Tilting and Sliding Panoramic Sunroof. Remote Engine start. Rear Spoiler. Dual Zone Climate Control. Keyless Entry. Very Clean Smoke Free vehicle. Please Call 561-808-1853. Thank you for stopping by Gunther of Delray Beach located at 2401 North Federal Highway, NORTH OF ATLANTIC AVE on US1. We are your South Florida Dealership specializing in new and quality used vehicles, service, and parts. Our knowledgeable sales staff have been trained and certified to provide amazing customer service. Receive an additional $250 OFF our best advertised vehicle prices, please print and bring to Gunther Delray to receive! All prices exclude tax, tag, title, registration fees, governmental fees and any warranty cost or fee applicable to the sale of a car. See dealer for full detail. 2016 Volvo XC60 Drive-E. Turbocharged engine with an Automatic Transmission. Automatic headlights. Premium Navigation system. Power Tilting and Sliding Sunroof. Power front heated seats. Leather Seating. Volvo Certified with a 5-year Unlimited-mile warranty available. Clean Car-Fax vehicle history report with only one previous owner. Multi-Function steering wheel. Alloy wheels. Protection Package-inc: Cargo Tray Rubber Floor Mats. LOW MILES!!! Super clean and Smoke Free. Call 561-808-1853. Thank you for stopping by Gunther of Delray Beach located at 2401 North Federal Highway, NORTH OF ATLANTIC AVE on US1. We are your South Florida Dealership specializing in new and quality used vehicles, service and parts. Our knowledgeable sales staff have been trained and certified to provide amazing customer service. Receive an additional $250 OFF our best advertised vehicle prices, please print and bring to Gunther Delray to receive! All prices exclude tax, tag, title, registration fees, governmental fees and any warranty cost or fee applicable to the sale of a car. See dealer for full detail. 2018 Volvo S90 T-5 AWD Momentum. Power Tilting and Sliding Sunroof. CONVENIENCE PACKAGE-inc: Compass (Inner Rear View Mirror), Power Operated Trunklid, 360-Degree Surround View Camera, HomeLink, Heated Washer Nozzles (Wet Arms), 12V Power Outlet, Park Assist Pilot, front park assist, HEATED FRONT SEATS & HEATED STEERING WHEEL-inc: Heated Steering Wheel, Heated Front Seats, CHARCOAL LEATHER SEATING SURFACES W/CHARCOAL INTERIOR. Volvo Certified with a 5-year Unlimited-mile warranty available. Clean Car-Fax vehicle history report with only one previous owner. Low Miles!! MOMENTUM PLUS PACKAGE-inc: 4-Zone Electric Climate Control, Cooled Glovebox 12.3 Driver Display (Digital Instrument Cluster) Headlight High-Pressure Cleaning, Active Bending Lights (ABL), Thor's Hammer daytime running lights (DRL) and auto high beam (AHB). A very clean vehicle that is Smoke-Free. Call 561-808-1853. Thank you for stopping by Gunther of Delray Beach located at 2401 North Federal Highway, NORTH OF ATLANTIC AVE on US1. We are your South Florida Dealership specializing in new and quality used vehicles, service and parts. Our knowledgeable sales staff have been trained and certified to provide amazing customer service. Receive an additional $250 OFF our best advertised vehicle prices, please print and bring to Gunther Delray to receive! All prices exclude tax, tag, title, registration fees, governmental fees and any warranty cost or fee applicable to the sale of a car. See dealer for full detail. 2016 Volvo XC90 T6 Momentum. Supercharged and Turbocharged engine with an Automatic Transmission. Blind Spot Information System (BLIS), cross traffic alert, Power Retractable Exterior Mirrors. Power Tilting and Sliding Panoramic Sunroof. Leather seating. Full Premium Navigation system with Bluetooth and a Rearview camera system. Volvo Certified with a 5-year Unlimited-mile warranty available. Clean Car-Fax vehicle history report. VISION PACKAGE-inc: 360-Degree Surround View Camera, front fisheye view, Automatically Dimming Interior Mirror, Automatically Dimming Exterior Mirrors. Protection Package. The vehicle is Very Clean and Smoke-Free. Call 561-808-1853. Thank you for stopping by Gunther of Delray Beach located at 2401 North Federal Highway, NORTH OF ATLANTIC AVE on US1. We are your South Florida Dealership specializing in new and quality used vehicles, service and parts. Our knowledgeable sales staff have been trained and certified to provide amazing customer service. Receive an additional $250 OFF our best advertised vehicle prices, please print and bring to Gunther Delray to receive! All prices exclude tax, tag, title, registration fees, governmental fees and any warranty cost or fee applicable to the sale of a car. See dealer for full detail.